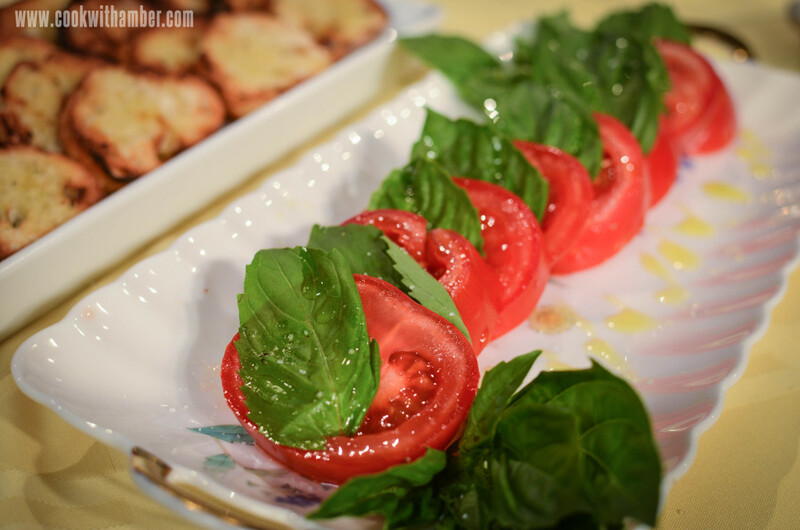 Slice the tomatoes, and pick leaves off the basil stems. Arrange the tomatoes on a dish, overlapping them slightly. Put a basil leaf between the tomato slices. Drizzle with olive oil, and sprinkle with salt. That's it!